So you have an iPhone and feel you have outgrown or just don’t like the default iPhone calendar app. There has to be more right. But looking through the 3rd party apps is a crazy sea of confusion with each looking very similar, after all they are all still calendars right. So how do you decide what to try? Well let me give you a few tips. And yes, full disclusure, we make a couple of the top choices but we will try to stay impartial as there are a lot of great calendars out there. Obviously this is an important one. If you don’t like interacting in the way the calendar wants you to, or it doesn’t give you enough choices for views to see all of your data clearly and concisely then it probably isn’t your calendar. We have found that most people like to use either a Month type view, a week view, or a list of days. And rarely switch. So figure out which one you are, and find the app with the offering that best matches what you want to see. And some people visualize their data better in several ways. Just showing text on the calendar, or associating icons to their events, or using blocked timelines, or just dots to give a cleaner look. And the use of colors can be key to really link up visually what events will be for certain categories or family members or however you organize your schedule. When interacting with your events take into consideration features you might need or want to make things quick and easy. Things like drag-n-drop to quickly reschedule, advanced repeating event options, templates that quickly make often used events, emailing events, natural language entry, and so many others are all key features that ultimately having just one of these might be the reason why you go with a certain calendar. And remember that, as far as looks go, in some cases what the developer chose for a default color theme might not be all that’s available. Always check out the settings as theming might be available and allow you to choose the look you really want. Some people just want a few more key features or a different main view and don’t need a power user type calendar, figure out if that is you. Data is key here. Do you want to be exclusively using Google Calendar events? Do you want to be using the developer’s proprietary databases for events, or should you shoot for Apple’s data only. One of the key considerations for this is syncing. Apple’s data is a good choice in that you can actually setup what is synced in many ways including with things like Exchange, Facebook, and Google in their own settings app. Then this data just syncs via Apple, and is not being handled by the developer. A safe choice but with a few limitations. If companies are using straight Google or their own systems, then they are also re-writing and handling the sync, which could be a good thing, or could be full of problems, or something you may have to pay extra for, or syncing could just not be available at all. The main draw of some calendars including some of the more organizer based ones are that the app has other forms of data integrated in. Some may just add reminders into your calendar and show them in the days they are due right along with your events. Others show weather, so you can see what it is supposed to be like as you plan your week. Both extremely handy and can be done without being overly intrusive. 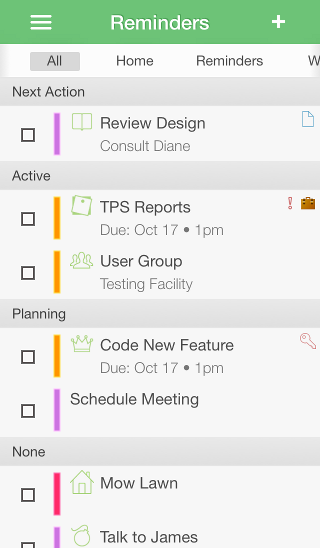 And then the planner type apps go beyond this. 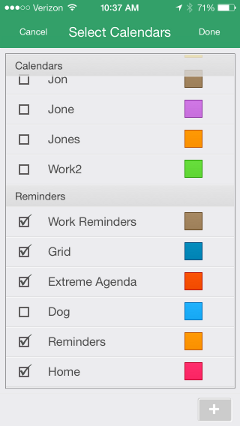 Tasks and Reminders with their own views that can quickly be switched to events. Contacts to use as a full address book and help in the creation of events and reminders. Birthdays showing pictures of your contacts right in your calendar. Lists. Notes. Todos. All with search that can check your events along with the other data for what you are looking for. These full planners can be pretty powerful. So options can be the key to getting what you want. Once you try an app, don’t be afraid to dive into the settings screens. 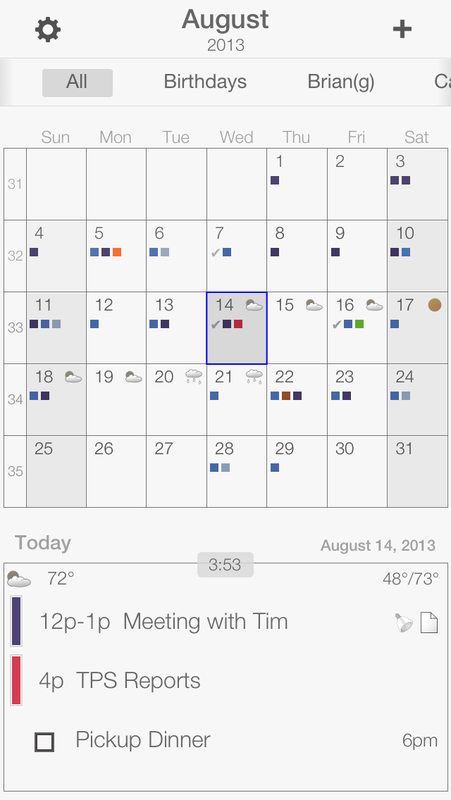 Getting your calendar to look the way you want might involve flipping a few switches and setting a few colors. Not everybody wants to see ISO week numbers or see only timelines or have the week day start on Tuesday. But if you do, hopefully the settings allow for it. There is a push in apps to not give you as many options and dictate to you want you want. But in calendar apps, hopefully this is not the case. 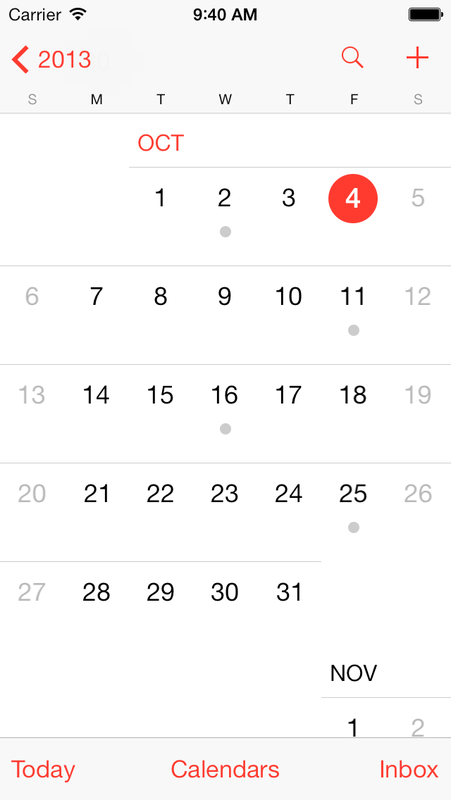 The developer can’t possibly always know exactly what you want to see and do, calendars can just be complicated. 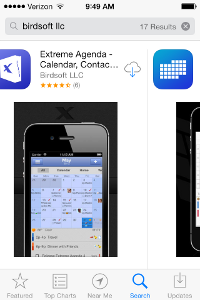 A big feature found in most good calendar apps is filtering. This is a way to show you only a certain set of events or data. Most offer a way to turn off and on the calendars on your device in a setting screen. 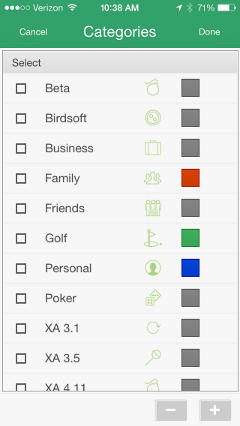 But some go beyond that and allow you to quickly do it from your main screen, or be more advanced and filter based on privacy or assigned categories/tags. It makes looking at a calendar so much better if you only want to see your work schedule, your child’s activities, or your sporting event times. Ok, so what is this. Well, these are apps that are trying to take it to the next level of integration, with the added catch that to do some of it you need internet and you are giving them all your data. So keep that in mind. They can add some cool features, but in testing some of their technologies are so new and try to make educated guesses about your schedules or locations or contacts or … and are completely wrong, making the features not only useless, but also very in the way. Some people like to be guinea pigs..
How are they making money? Could it be by eventually selling all your data? Could it be that they will go for a subscription model after getting so many users? Eventual Ads? It is just something to think about. But some are well done apps that if they have what is right for you and you don’t have any concerns, they might be worth a shot..
Obviously price is a key. Just remember that this is not a game, and paying a couple dollars more might make you that much more productive and organized. That little extra will be worth it for you in no time if you find the right calendar. But watch for things like subscriptions and/or the possibility that if an app is free that somehow you might be the product(selling your data, or eventually ads or…). These factor into what the total price will end up being. There are some free offerings out there that allow you to try out the calendar before you go all in on it. Its always a good idea to bargain shop if you don’t know what you want, as even just trying these choices might give you an idea of what the pricier apps are offering you..
Oh, and watch for if it is Universal… Or if they charge extra for that. This alone might be the main reason to go with a certain app for you. So there you have it. I hope this helps you in finding a great calendar app for your iPhone. We’d love it if you considered our Extreme Agenda line of apps if you want a full organizer or try The Grid calendar for FREE with a lot of the more powerful features, but in a more streamlined approach. This entry was posted in iPhone, Mobile on June 27, 2013 by Administrator. iOS7 was introduced and to say it is ‘Polarizing’ is an understatement. Some people love it, some people hate it and some people are cautiously not optimistic. It has some great new features that were really wanted and needed, and I haven’t heard anybody argue against that. Things like control center and multi-tasking. But the UI and aesthetic redesign’s are a radical change with a lot of people including me not loving and not seeing the point of. This goes beyond just the icons. They had a good thing that they sold MILLIONS of. But yet they convinced themselves that the rumblings from the press and a small sections of users were true and the OS was so dated. Which in small areas was true, but… then they took a sledgehammer and went crazy. It makes be doubt Jony Ive’s ability as a software designer(hardware he’s brilliant, but that doesn’t guarantee his software style will have mass market appeal). I think there was a balance there between where they were and where they ended up, and they didn’t even come close to hitting it. Most things they changed for the sake of change. I dont get why navigation buttons can’t have borders. They’re still buttons. If you have a problem defining the edge of a touch area you are way too hung up on this skeumorphic thing. The new way looks fine in some places, but looks really bad and the text all runs together in others. And this takes away using color to represent other things. And why does the stopwatch app have ‘circular’ edges around its start and stop buttons. Shouldn’t it just be colored text if we’re following this new “better” paradigm? The transparency is not a great thing. It can look good, like it always did, or it can look horrible depending on the background. But the key is that in iOS6 you couldn’t really get something to look horrible based on the background. And I don’t get the new skinny font. It doesnt look good on the small screen, and doesnt make things clearer. Just artsy, and will get dated quickly. Wait, I think it already is, most designers have even moved beyond helvetica… Oh, but some Apple apps dont even use this font.. Now, it’s just different, not better. Animations are animations, they grow tiring. I thought the incoming icon pop out thing was corny the first time I saw it. And we did the zoom out from a location animation that is now defining the launcher and folders in our Grid Contacts app. Its a neat effect, but Im already tired of it on iOS7, after one day, and it broke some other stuff…Now, it’s just different, not better. And folders are neat that they can scroll inside, now imagine if they weren’t defined to be that silly gray color and actually have a border, and weren’t made to be a scaled up icon size/shape. So we could have the scrolling while showing 16 icons at a time instead of 9. THAT WOULD BE WAY BETTER. Now, it’s just different, not better. Why change the swipe to open. There is no indicator anymore of which way to swipe(Well there are arrows up and down, which neither is for this). So almost everybody that encounters this takes a while to even figure out how to open their phone the new way. Something is fundamentally wrong with your direction if this happens. Stripping away something to make it prettier and ‘simpler’. NOPE. Now, it’s just different and initially confusing, not better. Why are we stripping out gradients in nav bars and other places where they actually look good, but they are fine and even overdone in some of our new icons. And the icons are just plain horrid. Some people like the Easter Bunny meets Hello Kitty colors and simple oversized designs, but if designers can take those same ideas and make stuff that looks infinitely better with the exact same concepts in a couple hours, well Apple went the wrong way. But even worse. Why change the size and corner radius of the icons. The bigger corner radius is not better, its actually makes the icons look smooshed and fat. AND IT BREAKS THE HUNDREDS OF THOUSANDS OF 3RD PARTY ICONS THAT WERE DESIGNED WITH THE OLD BETTER RADIUS. It feels like a slap in the face for the sake of change and the 3 extra pixels make everything a little more crowded. Now, it’s just different(worse), not better. It will all cause a lot of confusion for mostly young and old users to re-learn a lot of this stuff. And why, it’s NOT BETTER. The whole thing is just really inconsistant. The people that Ive heard love on it, most I feel fall into a category that they wanted the OS to have a facelift so bad, that they can’t see a lot of it for what it really is. Change for the sake of change. Nothing is really improved, it’s just different. The new paradigm doesn’t really have any advantages, Ive tried to come up with any for development. It just forces a different look and breaks a lot of the existing ideas. And its puzzling their direction with 3rd Party Apps here. They want to brag about 900,000 apps, but didn’t really fix discoverability, and now are really going to break or make outdated like what ~700,000 of them. Why? So with so many strong opinions that don’t like these bold changes, could this be a stumble. Could this ultimately lose Apple marketshare? Could this balance out the market? Could this be Apple’s ‘Vista’? It wouldn’t shock me. Or maybe I’m wrong and there is a market for a more cutesy version of iOS?! I’m not going to say it hasn’t grown on me some since I started using it. I just hope Apple is listening, and takes the keys away from Jony a bit, and dials back some of the changes. I know its just a BETA, but does Apple? Hopefully they don’t stay stubbornly committed to their decisions, but they aren’t known to change a ton after BETA. With all their secrecy when doing these OS’s they obviously can’t do huge usability testing. Well consider this your usability testing, you are turning off a portion of your own following, and I can’t see the changes being a catalyst to replace them with others. Ive been wrong before. UPDATE: It is already starting to leak that for example the Icons were designed by marketing and not Interface in Apple. So hopefully this is a good sign that some of the things mentioned will be dialed in or dialed back. Hopefully most of them… We’ll see…. This entry was posted in Uncategorized on June 12, 2013 by Administrator. Today should see the release of our full paid version of the Midnight version of The Grid Calendar. We really like this product and hope that having a paid version can support it into the future. We have mentioned it several times in the past but thought we’d break it down here, We think The Grid is a superior product to Fantastical, the app that garnered so much attention in the press at the same time as every major release of “The Grid”. While they did a good job on that product, initially it was full of a lot of holes, that Im glad that they have partially fixed. It does have a unique way of scrolling through dates and a couple neat features, but really the UI isn’t over the top attractive and stays quite Apple generic. And a little secret, we have a couple things in the works for the only 2 things they have we don’t. Thanks for considering ‘The Grid’, and if you aren’t convinced try out the FREE version and give it a try before upgrading or buying Midnight. This entry was posted in iPhone on May 21, 2013 by Administrator. Well last week was a fun week for us. 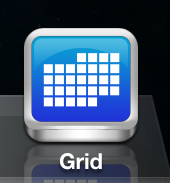 You showed us that we did build a stellar product in ‘The Grid’ It obviously had not been doing that well as a product, as it got lost in the vast black hole that is the AppStore. So to try to draw some attention to it, we set it to free for the weekend. 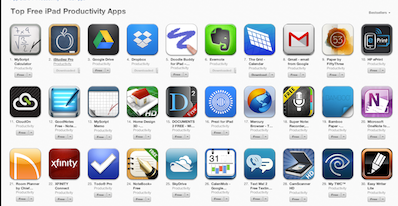 Well, the app was featured on Sunday (Jan 27th) by AppAdvice’s AppsGoneFree promotion and picked up by others, and with that it ratcheted up the AppStore Top Apps List. It eventually made it up to around #220 for iPhone and #130 for iPad in the whole store, with a top 10 in the Productivity category. We loved the exposure so left it free for the next few days where it got a ton of new reviews and maintained over a 4 star rating, and over 120,000 new downloads. And yes, Reminder support and this new view are going in Extreme Agenda 4.0 too.. And doing this has already helped the progress of that tremendously. Extreme Agenda’s scope is on a level way higher than this, so when that comes out, its going to be a whole new ballgame for full on organizers. We just want to get everything right! So watch for a new site and new ‘The Grid’ version soon, and Extreme Agenda 4.0 by the spring… FUN!! This entry was posted in Birdsoft, iPhone on February 4, 2013 by Administrator.